Do you have places of deep spiritual meaning in your life? Do you have places where you go to find calm, strength or to remember the loved ones or some important events in your life? I do have a number of such places and I hope you have them too. Interestingly the Bible is full of such locational references. Then Gideon built an altar to the LORD, and called it, “The LORD (is) Peace” and it stands at Ophra to this day. This is just one of many dozens of geographic pointers in the Bible. Altars, towns or hamlets together with many other human structures as well as springs, hills, gulches and rocky outcrops are named and connected with biblical matriarchs, patriarchs, Jesus and his disciples often with similar reminders that those places are there to this very day. Unfortunately, when we read the biblical stories these days, we often thoughtlessly skip over these verses. But if you study other religions and folklore of other peoples, you soon realize, that these geographical anchors are very important. These locational references are often the very reason for the existence and survival of such stories. They connect the faith and spiritual life with the world around. This hill was visited by King Arthur, in this pond the princess Libuše (goddess Lada) took her bath, this rocky outcrop in the river is a remnant of the hero Maui’s stone canoe and this puffing volcanic Aeolian Island is a chimney directly from Hephaistos’ workshop. But what can we do when our religion became global, when the original geographic spiritual roots in Palestine are thousands upon thousands of miles away? What to do with this alienating disconnect between our faith and our surroundings? I believe there is a better way than such fabrications. It consists not in translating and locating those old biblical places, it consists in recognition of special places for our own spiritual journeys. Come this Sunday as we continue our search for new spirituality (or revived spirituality) this time connecting our faith with special meaningful places in our own lives. This is Kīlauea erupting under the Milky Way (and even some shooting stars) - my personal place of spiritual awe and recharging. Last Friday was a rainy day and I received a special gift. On my balcony in three small boxes I grow taro plants. I love taro’s heart-shaped leaves gently waving and quivering in every slightest breeze. And when it rains or drizzles, raindrops adorn my taro’s leaves with strings of shiny pearls and sparkling diamonds. If you pay attention you can spot taro quite often in NYC planted here and there for its decorative properties. (There is a large planter in front of a grocery store just across from the Holy Name of Jesus RC Church on Amsterdam Ave.) I personally got enchanted by this plant several years ago when visiting a picturesque Hanalei valley in the island of Kauai. Later I learned that taro (or Kalo, as it is called in Hawaii) has a deep spiritual significance for the people who grow it. 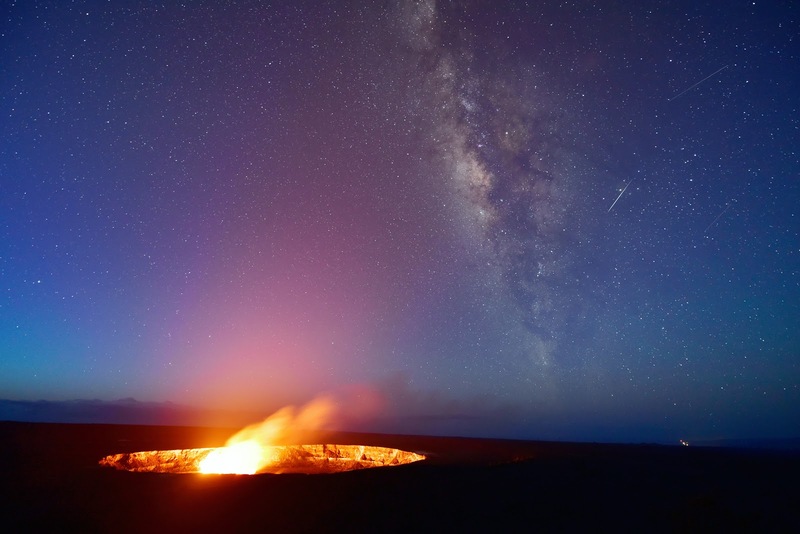 Deep in the Hawaiian creation story kalo is an older sibling of the humankind. Kalo, as an older brother, is feeding people while people, as younger siblings, are responsible for caring and cultivating kalo. Kalo and people are together children of the Land and they are bound together by the deep mutual love and obligations. The natural and religious duties transcend individual lives. Just as kalo tuber is harvested, the plant lives on through its replanted stalks, so the people live on through their offspring, and thus carry on the god-given duty of love and care for one another and for the land. This is just the roughest abbreviation of this beautiful and meaningful myth. Yet the study of this distant myth made me aware of some surprising biblical parallels, stories and metaphors, which also intertwine divine, human and plant realms. Come this Sunday as we continue our search for new spirituality by re-connecting our faith with plants. 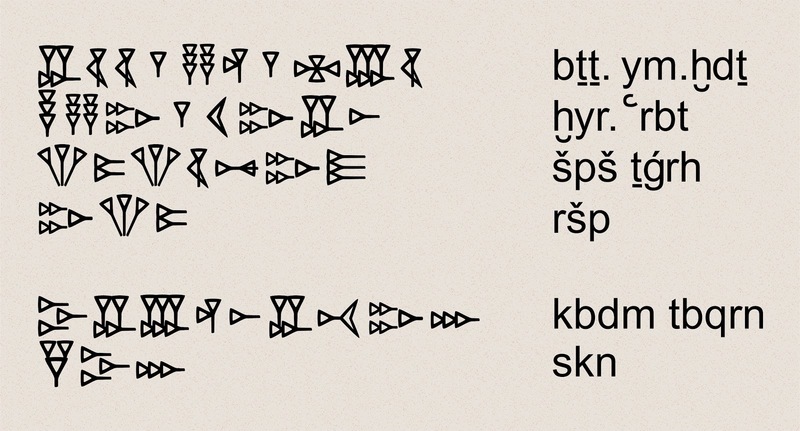 This is a cuneiform text and transliteration of the first recorded total solar eclipse. It was observed in Ugarit, an ancient city on the northeast Mediterranean shore and it took place in early afternoon on the first day of month Ḫiyaru with planet Mars in conjunction. Thus we know it took place on what we would call the 5th of March, 1223 BCE at about 13:20 local time. I wrote a little more about it earlier on this blog. Now we are in luck! There will be another solar eclipse visible over North America on the 21st of August. 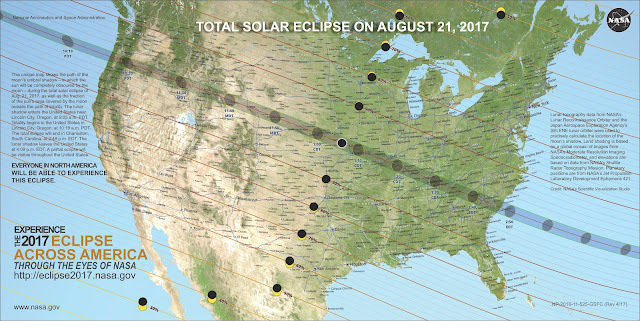 Unfortunately NYC will not be in the path of totality, yet the Sun will be almost 72% eclipsed which itself will be a spectacular celestial event. The sky will substantially darken and the Sun, covered by the Moon, will look like a crescent. BUT DON’T LOOK EVEN INTO THE ECLIPSING SUN UNLESS YOU HAVE PROPER EYE PROTECTION! Normal sunglasses do not provide sufficient protection; also do not use exposed films, CD and DVD discs or similar DIY contraptions. For safe observation of the Sun you need either proper sun-gazing glasses, professional filters or high grade electric welding shields. As spectacular as the solar eclipse might be, you do not want to fry your eyes and thus seriously and permanently harm your eyesight! I made measurements for our church’s roof garden (coordinates 40.77950N and 73.98231W). The disk of the moon will make the first contact with the Sun on Monday, August 21st at 17:23:14.7 Coordinated Universal Time (which is 1:23pm Eastern Summer Time), the maximum eclipse will arrive at 18:44:54.4 UTC (2:44pm EST) and the eclipse will end at 20:00:36.9 UTC (4:00 EST). This Sunday we will encounter biblical emojis. 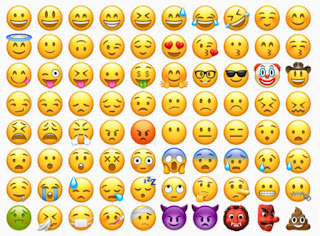 If you not know this word - emojis are those small pictograms used in emails, text messages, Facebook and other social media. Predominantly they are used to express, communicate and share emotions. 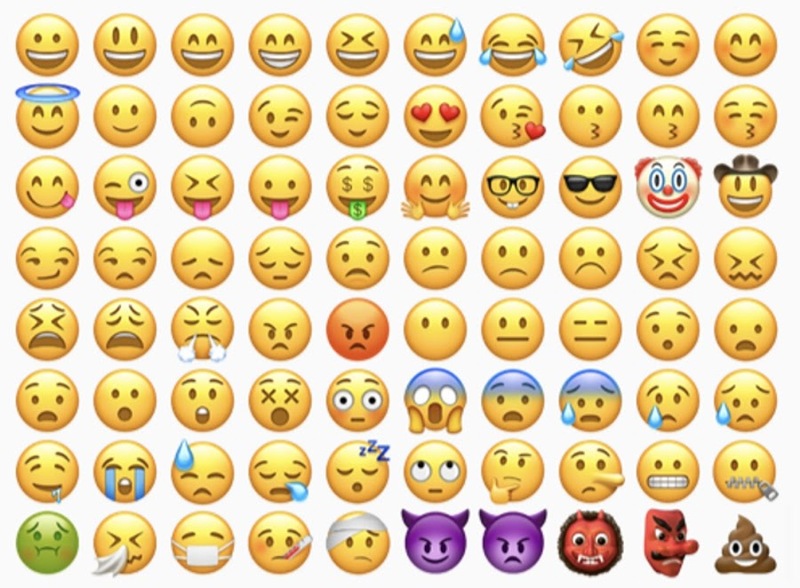 Interestingly, many emojis use different depiction of faces. This Sunday, in our Summer search for new spirituality, we will attempt to reconnect our faith with our bodies and our emotions. 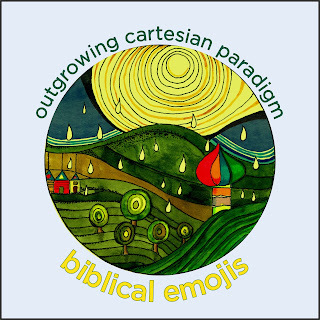 In that endeavor, the "biblical emojis" can offer us helpful insights. Of course, don’t look in the Bible for cellphones, tablets or other electronic gadgets. They did not have those little colorful pictures either. But what they had were special colorful and meaningful words which were as good as emojis. 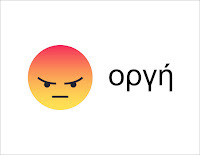 Take for instance biblical Greek word for anger - ORGĒ. 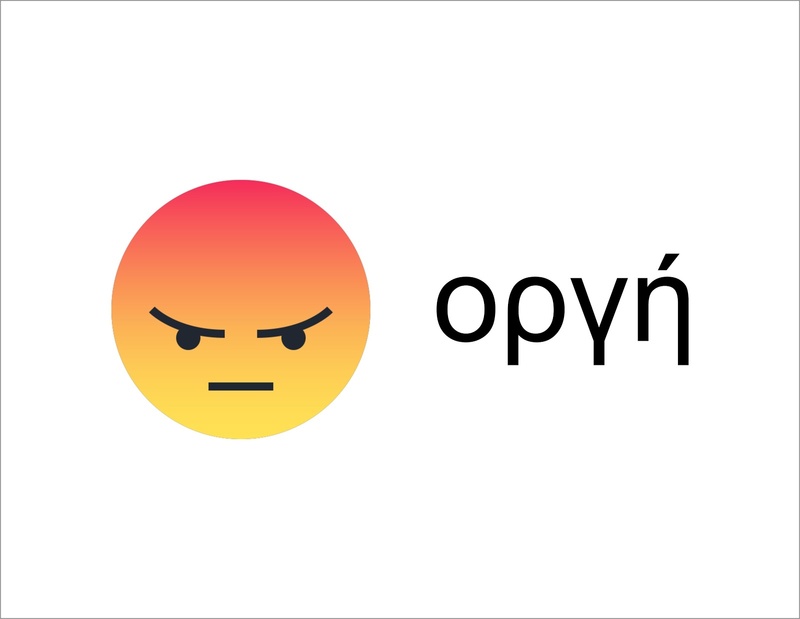 Its original literal meaning was up-welling or swelling just like the emoji of an angry red face. 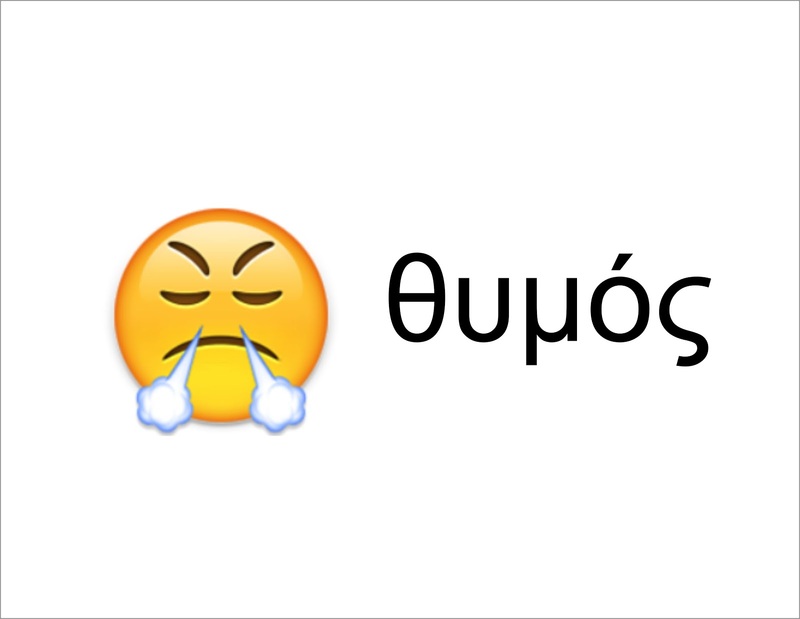 A different Greek word for anger was THYMOS and it originally meant heavy breathing, steaming or puffing (with anger), just like the emoji with a steamy nose. On the other hand the Greek word for patience, MAKROTHYMIA, can be literally translated as long breath. Indeed, our emotions are one of the oldest and deepest structures of our psyche connected intimately with our bodies. Purely rational control of our emotions is only marginally successful. Often the most efficient way of understanding, cherishing as well as cultivating our emotions is by reconnecting them with our bodies and controlling them through moderating our bodies’ reactions - for instance one can remember countering rising anger with proverbial few deep breaths. Come this Sunday, when we will search for even deeper and more profound biblical "emoji words" from the treasure throw of biblical Hebrew helping us in reconnecting our faith with our bodies and our emotions. A few weeks ago, as part of my study of American religiosity, I visited the Shaker Village in Hancock, just across the boarder between Upstate and Massachusetts. The true Shakers had been gone for generations, but local enthusiasts and sympathizers keep the memory of this interesting American protestant commune alive. Now it is a living museum with a small working farm and ongoing practice of traditional shaker crafts. The first building which I entered was a wood workshop. I stepped in and the smell of that place arouse in me a strikingly vivid memory of my grandfather’s woodshed. It must have been some specific combination of drying and aging woods. It was as if I was suddenly transported across thousands of miles and a number of decades in time to the time when my grandfather taught me how to split wood. That is the magic of our human olfactory memory. I think I can speak for almost everyone when I say that we all have had such flashbacks triggered by a smell of freshly cut grass, pealed apple or some other fruit, or just a gust of a salty air. Almost any specific smell can suddenly and surprisingly bring forward vivid memories to us. And unless we are professional taste tasters, we would have a hard time putting into words those special smells. Similarly we might have difficulties actively recalling memorable smells. We need to wait until our memory is triggered and then we are surprised with vivid, almost palpable memories which go far beyond just smell. Olfactory memories are clearly more direct, vivid and elemental than words, sounds or sights. Come this Sunday as we continue our search for post-cartesian spirituality – integrating, uniting and rejoining body and spirit, our physical and spiritual selves. We will rejoice in the often overlooked, forgotten or neglected fragrant and tangible spirituality at the center of our faith.